BAKU, AZERBAIJAN. 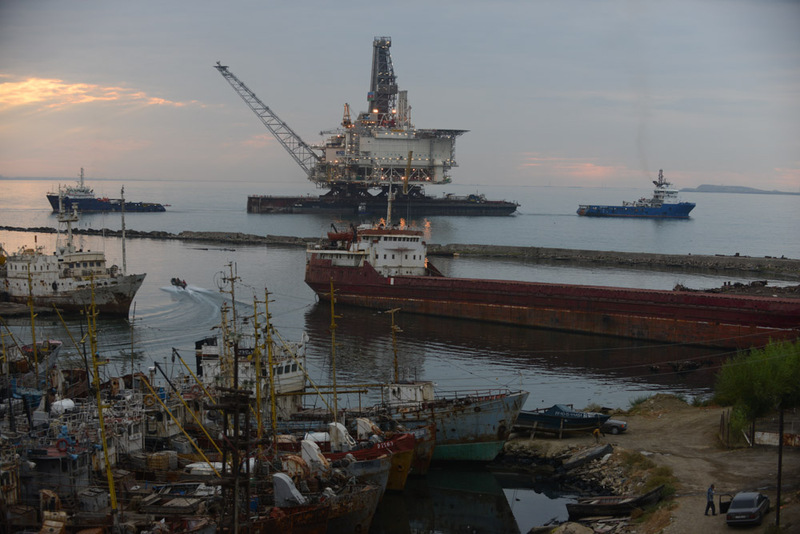 After two years of construction, a barge hauls the West Chirag offshore oil platform, operated by BP, out into the Caspian Sea in the Bibi Heybat district on September 12, 2013. The platform will be operational by December 2013 and will see its first returns of crude oil in the spring of 2014.